finding the right home inspector is the first, and often most important step you'll have to take. Finding the right property inspector is a critical piece of a very important puzzle when it comes to the home buying or selling process. And having a professional inspection completed by someone you can trust to provide you with a completely accurate and detailed snapshot of your home -- possibly the single biggest investment you’ll ever make -- is the key. With Murrer Certified Inspections based in beautiful Pacific Grove, CA, your protection is always our first priority, and we are dedicated to bringing you peace of mind with an expert, comprehensive inspection that will arm you with the knowledge you'll need to make a thoughtful and sound decision. Specializing in residential and commercial home and property inspection services for business property owners, real estate professionals, home owners and more, we have over 38 years of local construction experience and we use the very latest in home inspection technology including infrared thermography, building science and infrared thermal imaging. We will literally look into every nook and cranny of the property we’re inspecting searching for any structural issues, electrical safety hazards, water intrusion, HVAC problems or any number of other issues that can affect your property and your purchasing and/or selling decision. Following the exacting standards and practices of InterNACHI and our own high standards, our inspection team will provide you with a top-of-the-line, comprehensive report identifying each issue we find along with full photo documentation, easy-to-understand illustrations as well as a thorough set of comments about the condition of the inspected property. 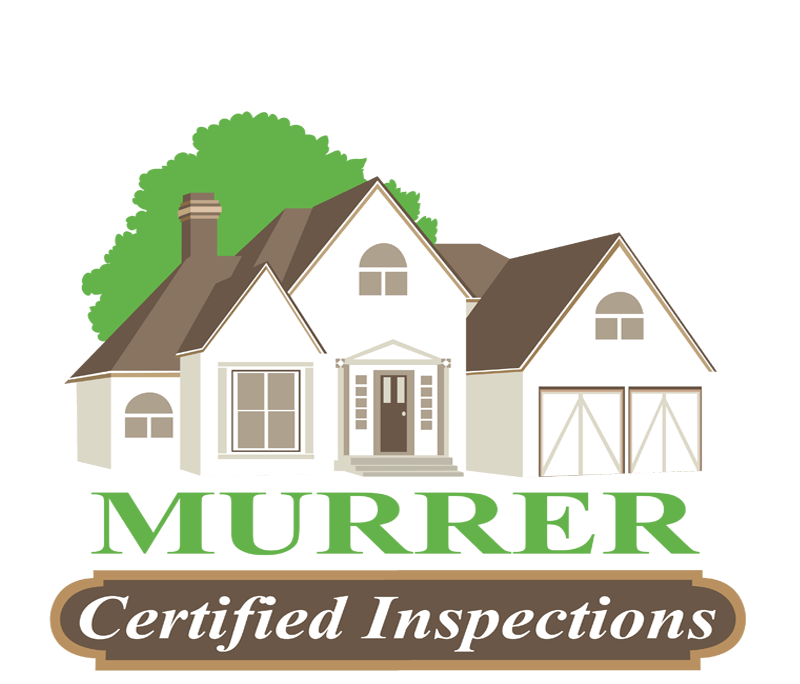 At Murrer Certified Inspections, we take great pride in every inspection we perform, and we strive daily to deliver the highest standard of quality and customer care to every client we serve. From the tiniest of tiny homes, to multi-family, commercial buildings or even retail shopping centers and more, we always go the extra mile because we know how important a happy and satisfied customer is. We work incredibly hard to offer you a local, personalized property inspection service that you will always be able to count on whether you're a homeowner with a one-time inspection need, or a realtor looking for a long-term inspection partner. Happy customers come back to businesses that treat them right, and our record of repeat and referral inspection business on the Monterey Peninsula is really better than any advertising we can buy. will do everything possible to help you make the most informed decision possible. Family-owned and operated, Murrer Certified Inspections serves Monterey County including Pebble Beach, Pacific Grove, Carmel, Salinas, Seaside, Watsonville, Carmel Valley and the surrounding areas. We are proud members of the Monterey Peninsula Chamber of Commerce, the Salinas Valley Chamber of Commerce and the Better Business Bureau, and we are committed to offering you the most accurate, honest, and detailed information available whether you're simply inquiring about a property inspection, or you're reading your final report. Serving All of Monterey County. and commercial clients as well as real estate firms and real estate agents all over the Monterey Bay Area. Whether this is your first home or your seventh apartment building purchase, we know how important and stressful the inspection process can be, and we make every effort to help you make a fully-informed decision. Murrer Certified Inspections follows the guidelines, ethics and highest standards for home and commercial inspections and when you hire our company, you will receive the utmost level of personal customer care and service available anywhere in the local area. We guarantee it! Our lead inspector, Paul Murrer, is a certified AHIT and InterNACHI home and commercial building inspector and he will be your guide you through each step of the inspection you hire us to perform, and then he will provide you with a complete, accurate and extremely detailed, top-of-the-line inspection report. Inspection Company to Count On. Quality gets us in the door, but it's our qualifications and certifications that back up the top-level inspection work we offer. Certified in Infrared Thermography & Infrared Thermal Imaging. AHIT Certified Spa and Pool Inspector. AHIT Certified Wood Destroying Organism Inspector. InterNACHI Certified Safe Practices for the Home Inspector. InterNACHI Certified Code of Ethics for Home Inspectors. Also Licensed as a General Building Contractor. Preferred Inspector for Coldwell Banker Real Estate. Preferred Subcontractor to Harris Engineering. Preferred Subcontractor to COVIUS Site Inspections. Schedule a FREE Inspection Estimate Today! Paul is an AHIT and InterNACHI certified home & property inspector as well as licensed as a general building contractor. Our lead inspector, Paul Murrer, is an AHIT and InterNACHI certified home inspector with decades of professional experience as a commercial and residential construction superintendent and building contractor. Paul is also certified in infrared thermography inspection as well as building science and infrared thermal imaging, and he utilizes an FLIR ES IR camera to detect water intrusion and mold inside of walls. He brings a background of extensive experience and knowledge to the business of property inspection every day and with every client in the Monterey area. Paul believes that providing a thorough, professional and above all, accurate inspection is critical to helping his clients make not only an informed decision, but the right decision on any property he inspects -- whether that's a short-term rental, a residential home or a large, commercial property! For more information about Paul Murrer and the benefits and features that Murrer Certified Inspections offers, please download our quick inspection reference sheet here. "Just wanted to write and say thank you to Paul for making my job as a realtor easier. I would recommend Murrer Inspections to anyone." "Paul Murrer was extremely thorough and knowledgable, pointing out issues that we would have never known existed. I would highly recommend this outstanding company!" "Our clients have awlays been impressed by the honesty, fairness and especially thoroughness of Murrer Inspections. I definitely recommend using them!" Contact us today to schedule a free inspection estimate, or discuss any questions you have about a home or property inspection in the Monterey County area.